With that done, the User Accounts window will open up. 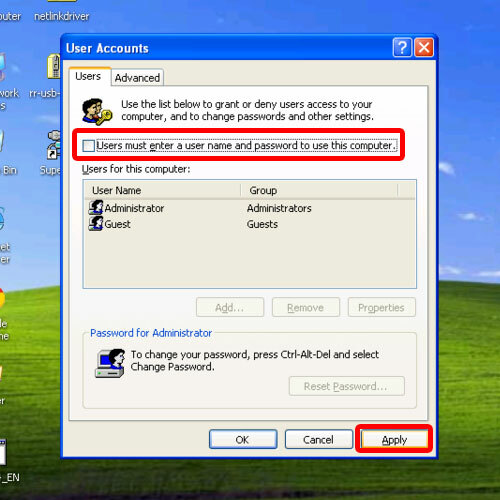 Over here, un-check the option titled “Users must enter a user name and password to use this computer” and click on Apply. Now you will be required to specify the log in details of the user which you want to be automatically logged on as. Once you enter the details here, the setup will be complete. Now let’s test to see if it works. For that, let’s restart the computer. 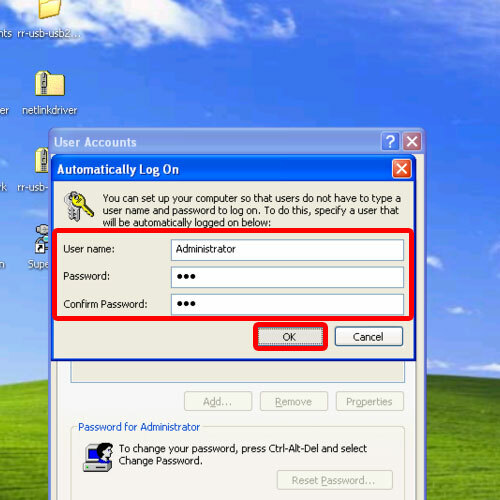 Now when the system re-boots, you will be automatically logged in to the windows XP account. A drawback of this particular feature is that if you have multiple user accounts on one system, this particular feature might slow down the performance of the other users on the system. With that said, it works perfectly if you have only one account on the system. 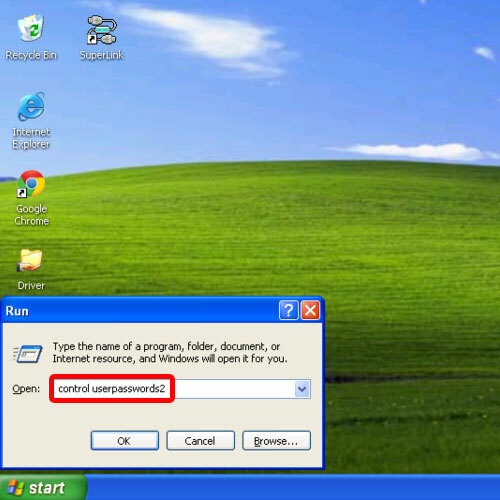 And that is How to auto login in Windows XP.